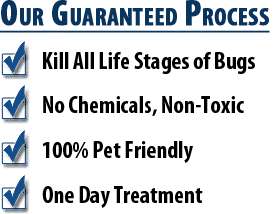 If you find your Flagstaff home to be infested with bed bugs, you may consider trying home remedies before deciding to call a Flagstaff bed bug exterminator. 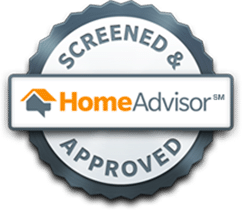 Home remedies could be attempted but you are better off saving your money. Store-bought sprays are not strong enough and will not exterminate your bed bug infestation. When you find bed bugs on your clothes or linen, drying them on high heat will kill them. This is the first step you should deploy when you notice bed bugs on your clothes or bed sheets. The infestation can often happen on unclean sheets, but this is not always the case. Laundering the sheets and clothes, along with drying them on high heat is a necessity which even the professional bed bug exterminators will advise. The other home remedies that people attempt comprise of using chemical pesticide sprays as well as UV lights. While the UV lights would be effective on areas visible to your eyesight, there will still be areas not visible to you where the bed bugs will hide. Also, store-bought chemicals from home improvement stores are not strong enough to kill bed bugs. Use of these chemicals can actually lead bed bugs to spread out infesting other rooms and areas. It is best to save your money on these ineffective store-bought chemicals and hire a professional exterminator. 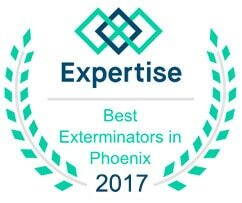 With the limited results of home remedies, it is best to call in the professional exterminators. As these insects are known to be one of the most difficult to exterminate, you want to hire a professional that only works with bed bugs. For a company that does not specialize only in bed bugs, it can be difficult for them to locate all areas of your infestation. Bed bugs tend to hide in the daytime and their sizes being small, especially to someone without as much experience. 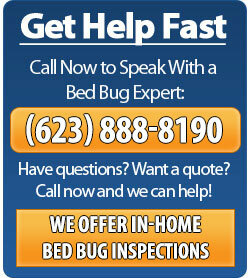 Professional exterminators with bed bug experience have established ways of identifying areas of infestation. 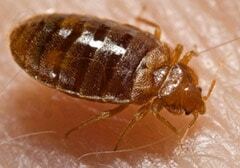 After that, they use either a chemical or heat treatment to get rid of the bed bugs. This is always done with a full house treatment. You can rest assured that if you hire Phoenix Bed Bug Expert, you will be bed-bug free through either of our bed bug treatment options. Remember our treatments come with up to a one year warranty.